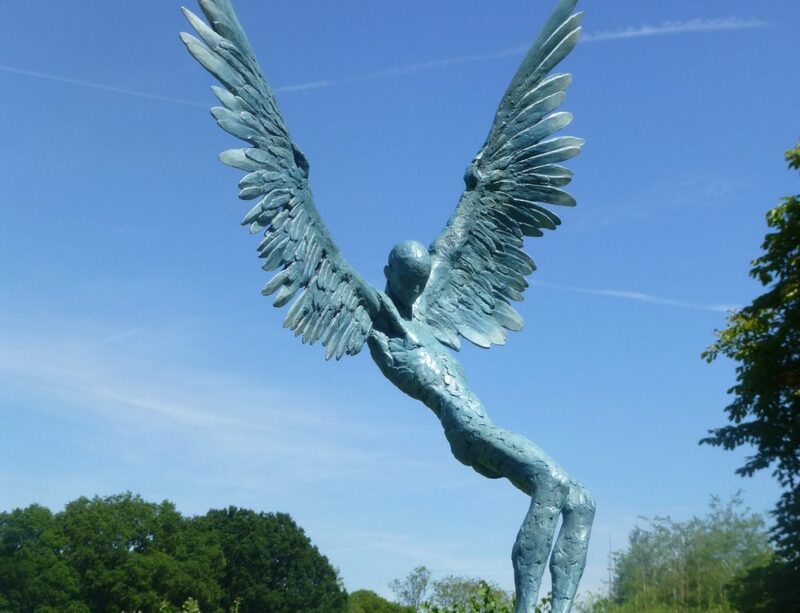 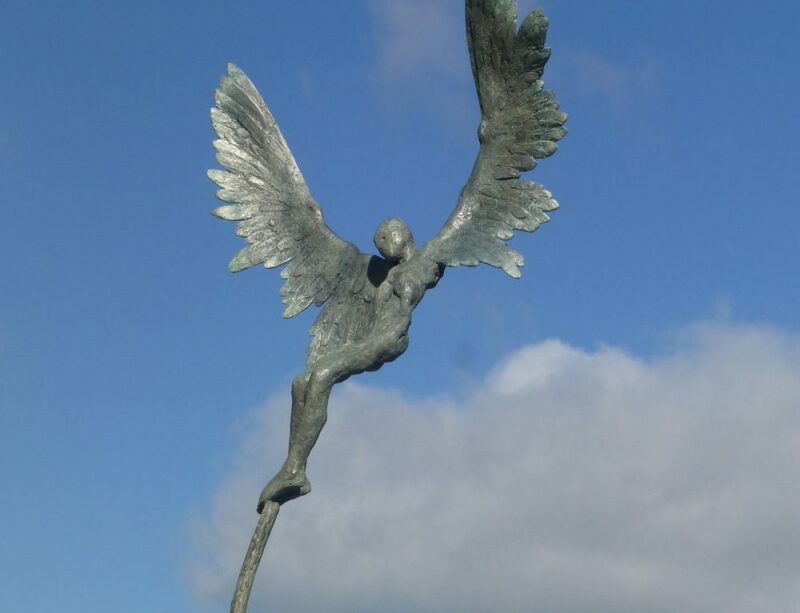 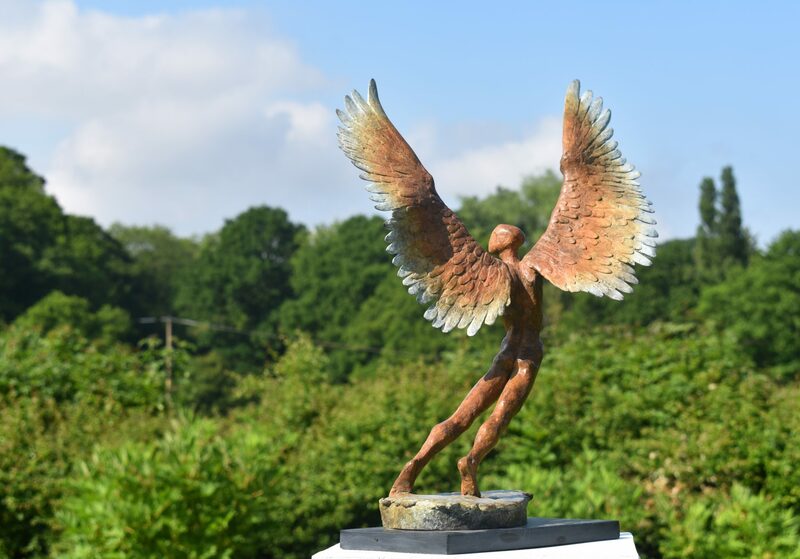 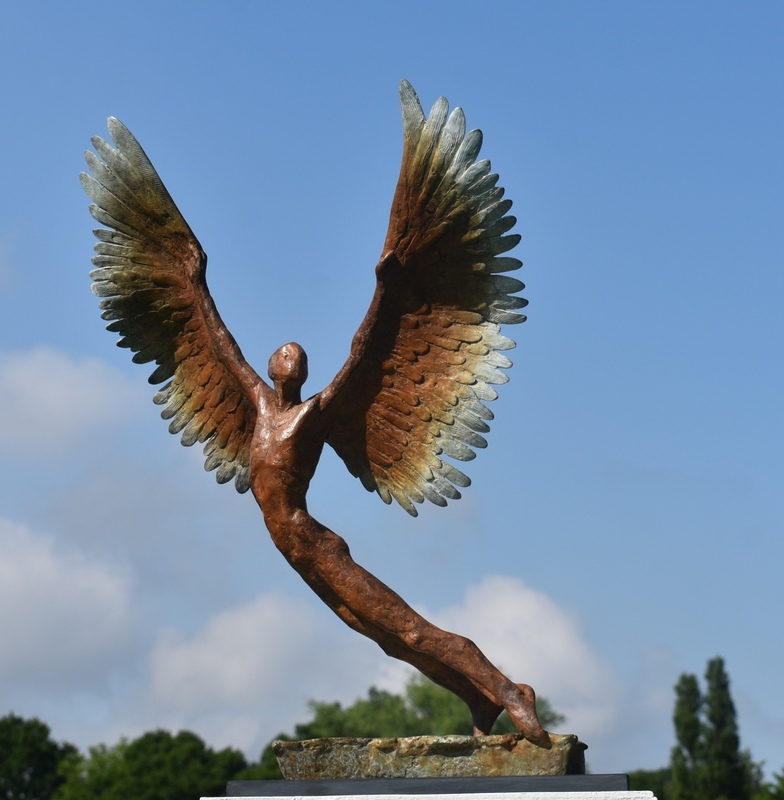 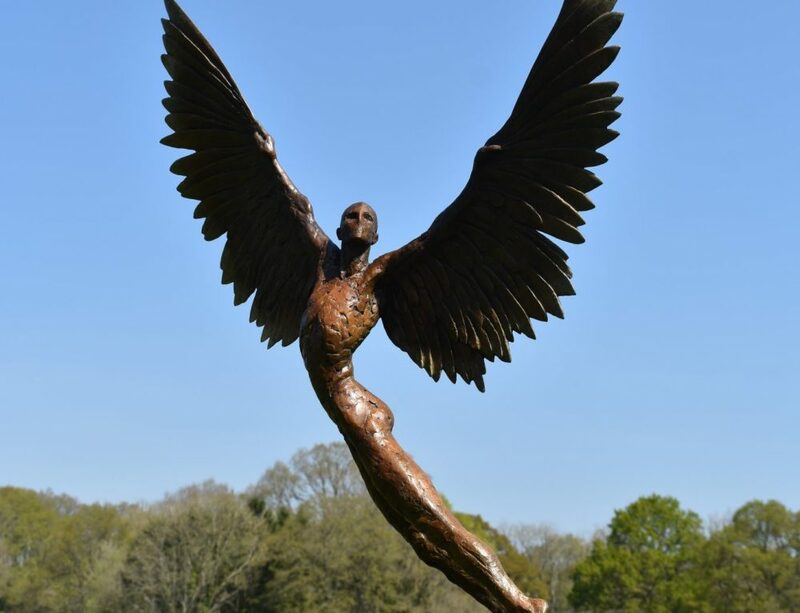 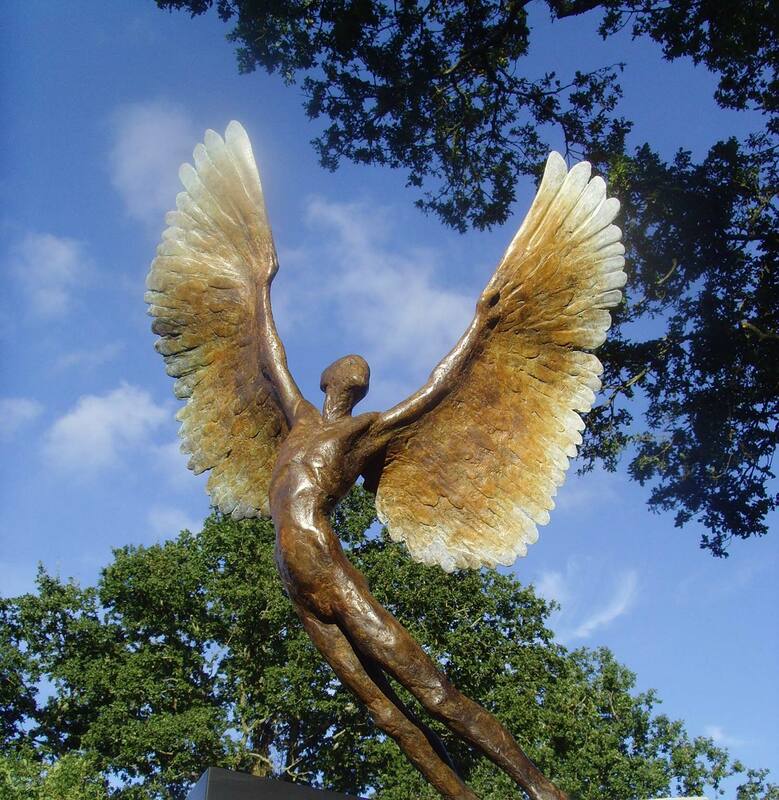 This sculpture is the first of the small ‘Icarus’ bronze sculptures, this one is 49 cm high and 35 cm wide on a slate base. 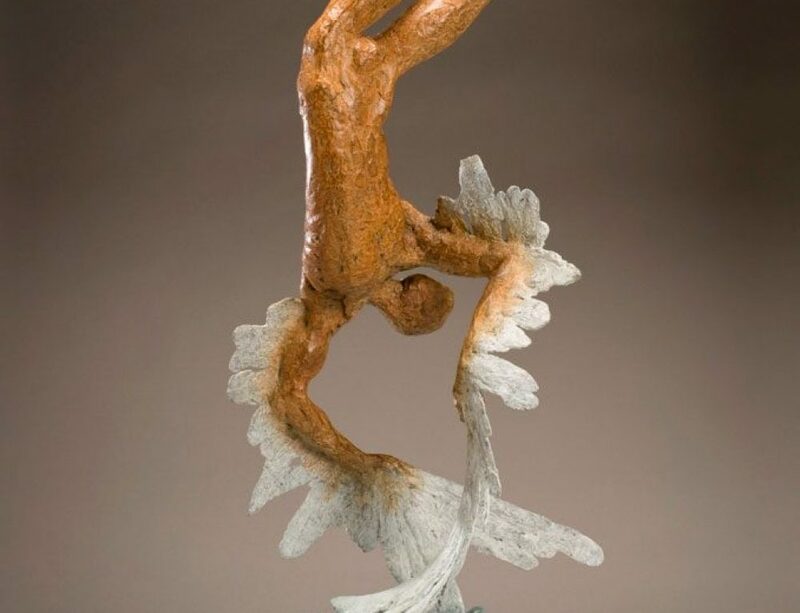 This bronze is depicting the mythological boy, Icarus, about to leap off into the unknown! 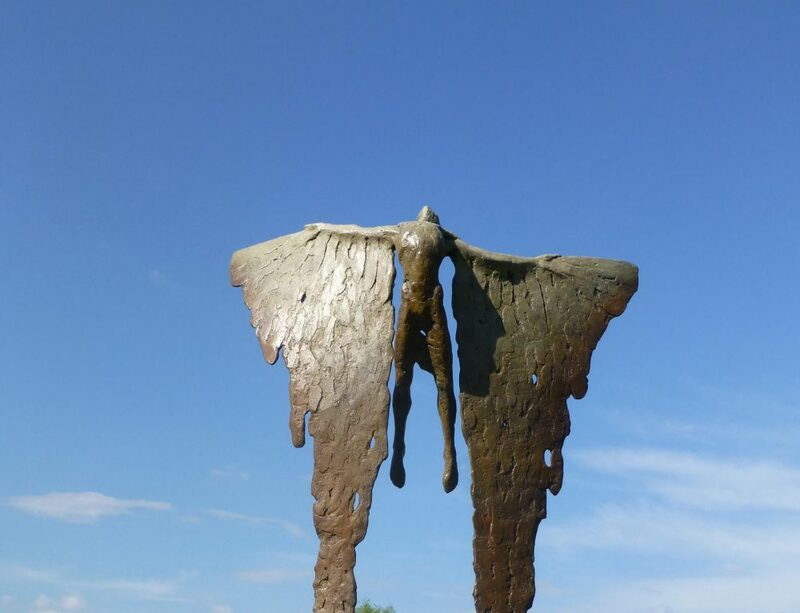 This contemporary piece of art is suitable for interiors in this size. 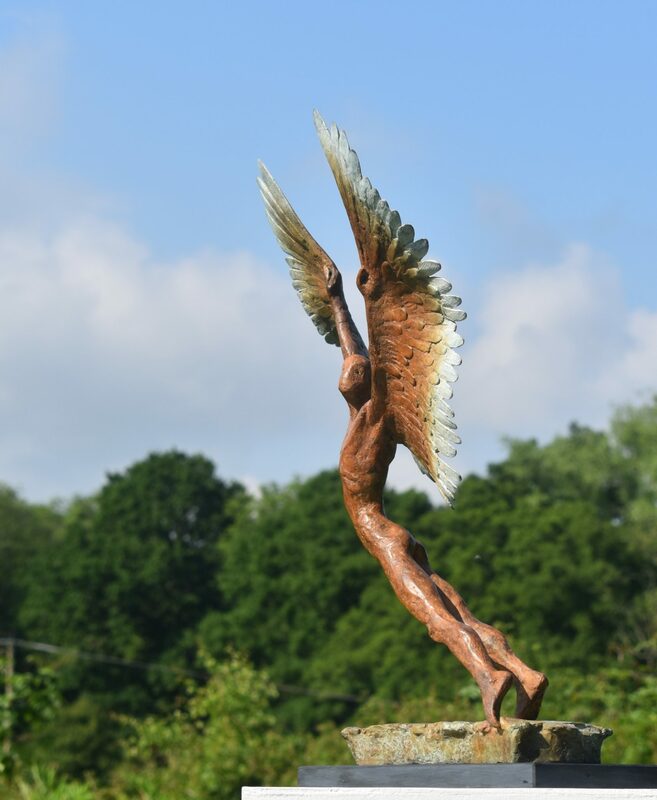 A larger sized version would be available as a commission.